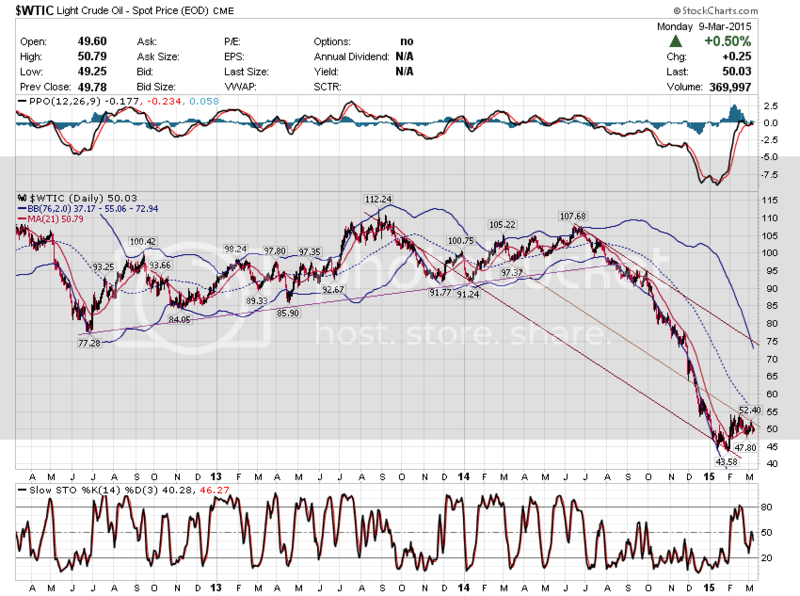 OIL: What if Oil prices stay down thru 2016 ? 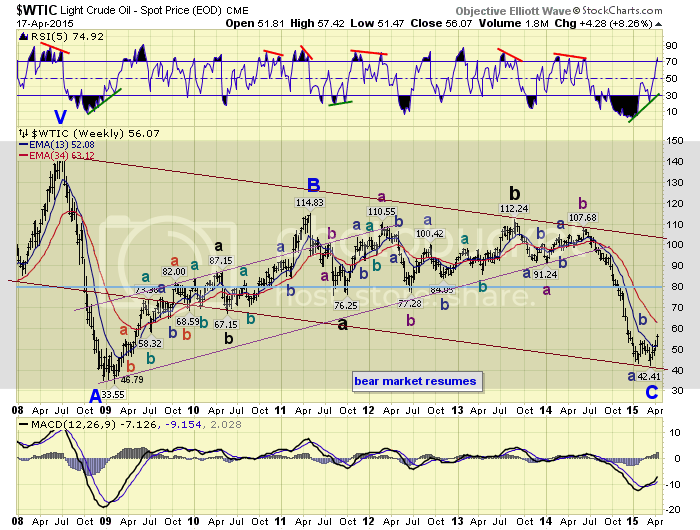 OIL CYCLES ... another 1-2 years before ultimate low? 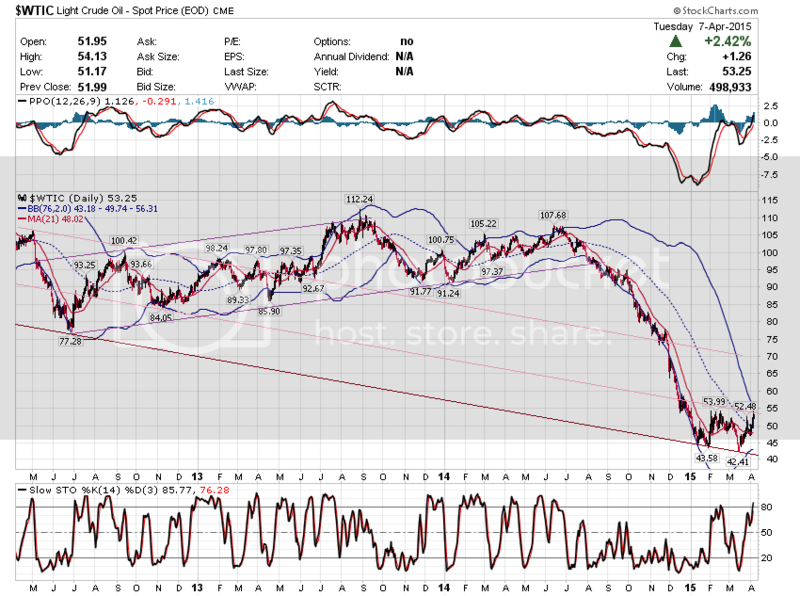 A few years later, I thought I would try to do the same for Oil prices. I studied historical prices, and came up with the notion of a web of interlocking oil price cycles. 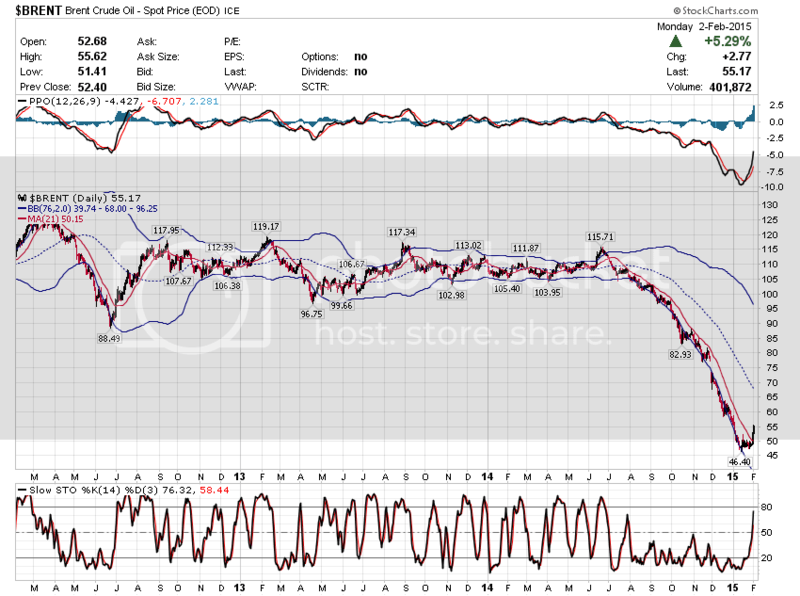 1991 article:"Cycling Towards Low Oil Prices"
This chart also shows a 2.5-3 year cycle. and $50 Oil became the New Normal ? Which groups would be squeezed, and which would survive? "it is not obvious what oil will do next"
+ From 2008 -2014, oil related debts doubled. Those that cannot breakeven will seek fresh capital, or mergers. Petrobras has huge debts, but also low production costs, so should "struggle on"
It was less than 24 hours after we posted that either oil will double from here allowing energy companies to grow into a normal P/E multiple, or energy stocks will have to crash by over 40% for the ridiculous 23x to return to its normal, long-term average of 13.6x. Moments ago energy giant Chevron admitted that not only does it not see oil doubling any time soon, but that energy prices are almost certain to go far lower from here, and as a result the company decided that after buying back $5 billion of its shares in 2014, i.e., buying high and higher before the stock crashes may not be the best use of dwindling cash flow, and as a result has just suspended its stock buyback program of the rest of 2015. Yes, energy giant Chevron just ended its buyback! Several days ago we showed something remarkable: "current forward 12-month P/E ratio for the Energy sector is now well above the three most recent historical averages: 5-year (12.0), 10-year (11.9), and 15-year (13.6). Central Intelligence Agency director John Brennan's.... agents inside Saudi Aramco convinced the firm's management and the Saudi Oil Ministry to begin fracking operations in order to stimulate production in Saudi Arabia's oldest oil fields. The Saudis ... agreed to what became an oil pricing catastrophe which would not only affect Saudi Arabia but oil producing nations around the world from Russia and Venezuela to Nigeria and Indonesia. .... The CIA's oil industry implants knew what would occur when the fracking operations began. Due to the dangerously high water pressure, the Saudis were forced continuously pump oil until the pressure became equalized. That process is continuing. If the Saudis ceased pumping oil, they would permanently lose the wells to salt water contamination. In the current "pump it or lose it" situation, the Saudis are forced to pump at a rate that may take up to five years before they can slow down production rates to pre-glut levels. The net result of the CIA-inspired fracking operations, which the Saudis were warned not to pursue by petroleum engineers working for some foreign-based firms like Schlumberger, is that there will be an oil supply glut for the next 5 years. Oil industry sources have revealed that similar fracking caused over production problems in Kuwait and Iraq. Interested to hear your take on the importance drill rig figures. Keep seeing it mentioned that U.S figures are out x date and keep your eye on them blah,blah on various investment boards. 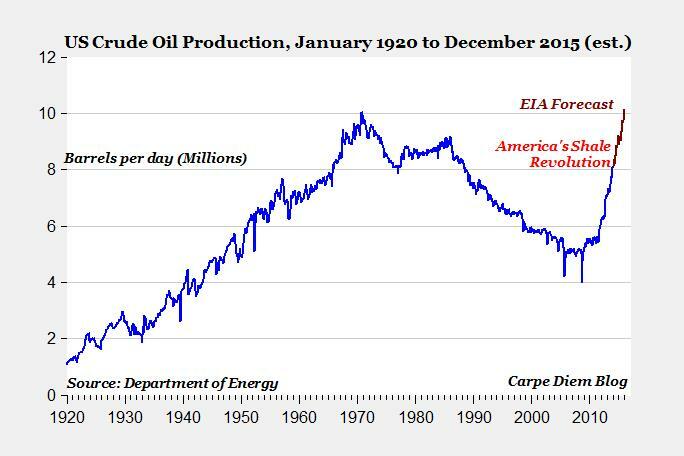 The simplistic view I get ie lower number of drills less oil discovered. But does it really affect the markets immediate future? Surely there is plenty of stuff in the can already proven to ride out yearly blips? When the Oil price first dropped below $100 (in August), the Saudis did not think it would last. 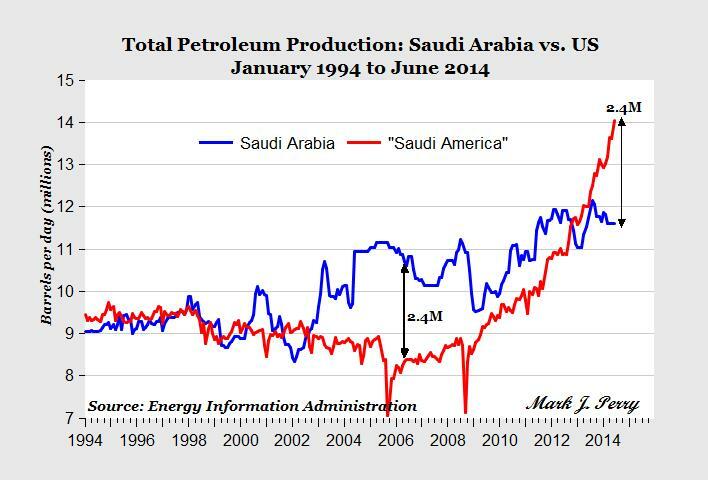 But when oil stayed down, the Saudis realized they could not solve the excess-supply problem alone. "everyone wanted to know when Saudi Arabia would take charge and stem the price." At a dinner for oil ministers on October 7th, one of the guests stated, "Of course you're going to cut production." "What makes you think we're going to cut? ", the Saudi official replied. 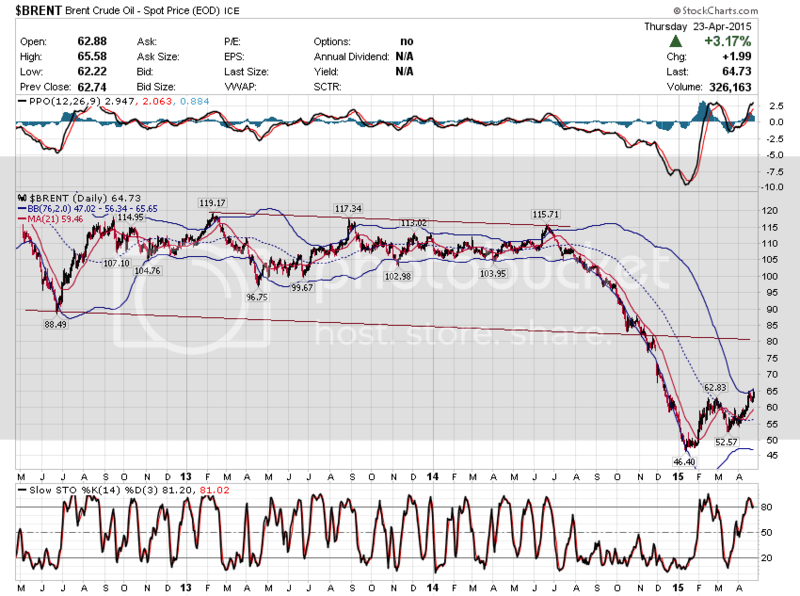 Shale Oil production may not "work" economically, with Oil Prices at $50. In June 2014, just nine months ago, the oil price stood at around $115 a barrel. It then fell to just over $45 last January. Nobody anticipated this price fall, or the speed at which it fell. And despite an army of experts and analysts who would like you to think otherwise, no one can accurately predict what the future holds. We all have expectations – but the chance of being wrong is the same as being proved correct. One thing is certain: rapid price movements are not healthy for producers or consumers, or the oil industry, or indeed the banks. The biggest gain in 14 years ! A rise in US imports of 869,000 bbls per day. 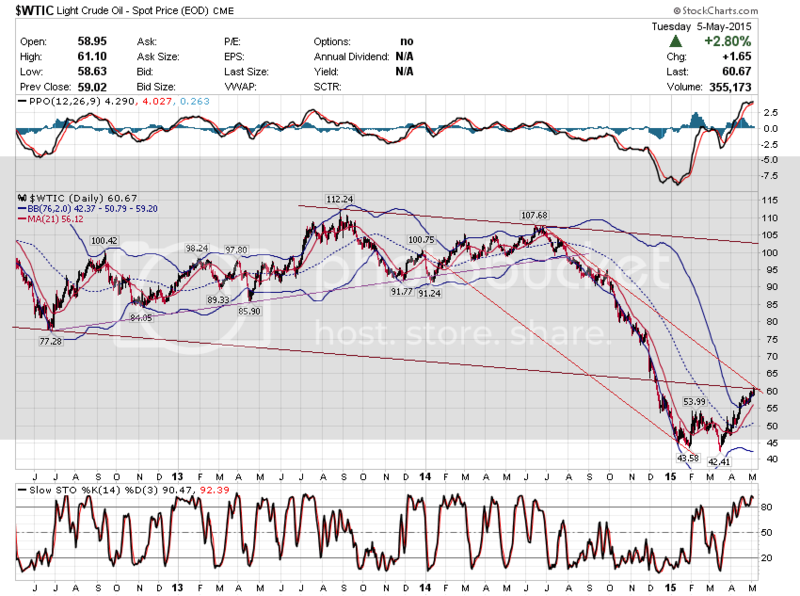 This chart may also suggest an important Oil Low has been made. + "We see the supply side falling away very quickly here," said Paul Horsnell, at Standard Chartered. Someone is going to be wrong here. 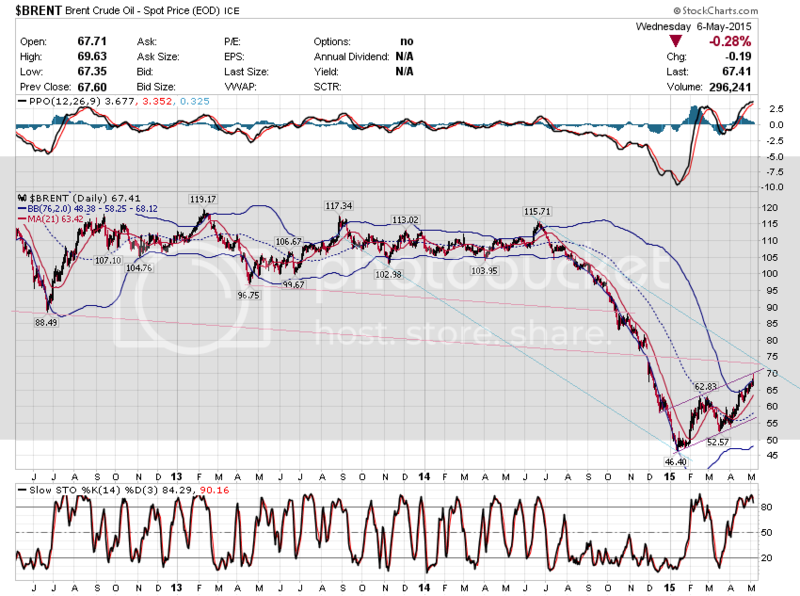 Do you really want to bet against the Oil producers? 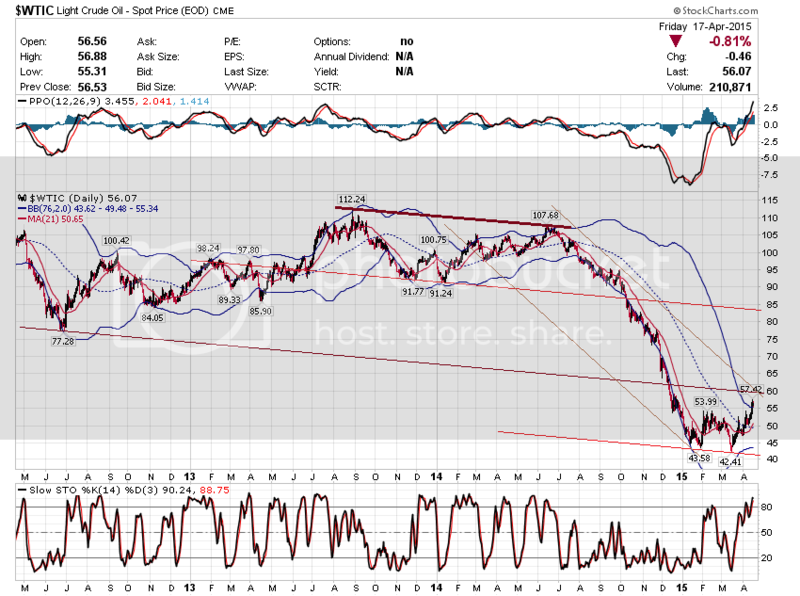 But Oil closed right ON a resistance level. 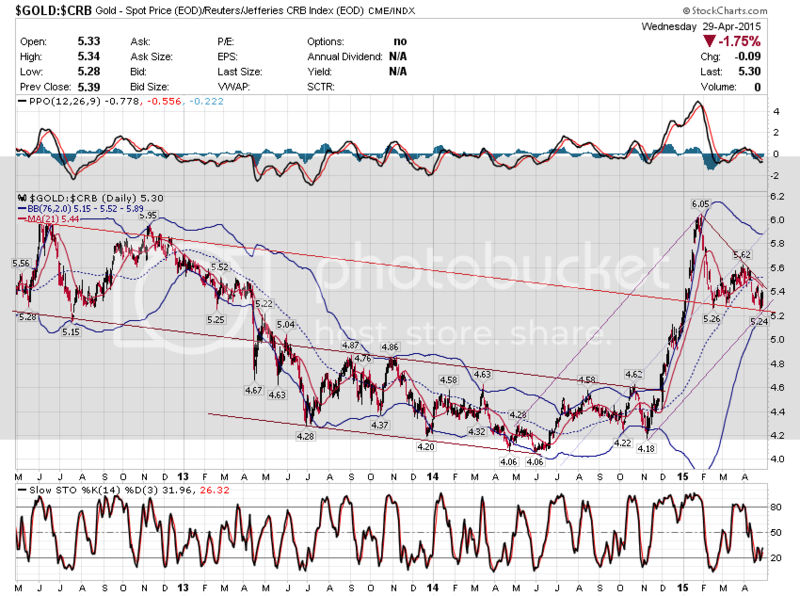 "Typically, such an environment would be described as 'risk-off', and see the dollar performing well. However, given the euro's role as a funding currency, it is the euro and not the dollar, which is benefitting in the current environment." "None of the Frackers generated positive cash flow"
"Investing for growth is a fiction." "Depletion gets ignored (it is not a cash item) ... Capex gets ignored too." David Einhorn is one of the modern day hedge fund titans. In his late twenties he started with about 1 million dollars mostly given him to by his parents and is now a multi billionaire dollar hedge fund manager. He became very famous in 2008 for predicting and profiting from the demise of Lehman Brothers. 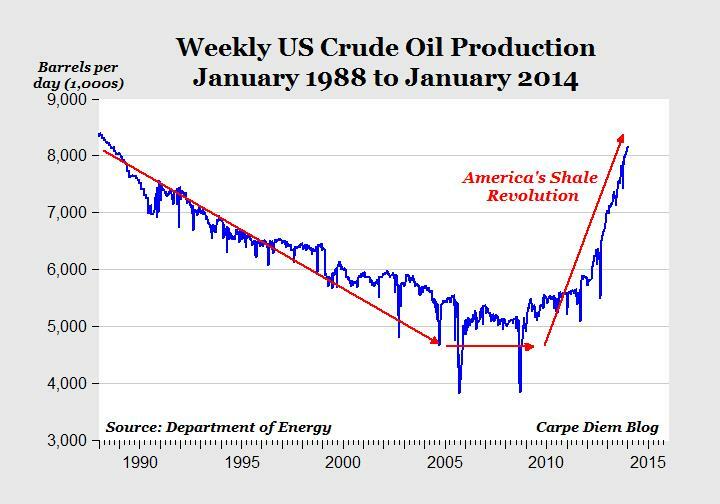 Now Einhorn has turned his attention to the Frackers. Many think that the frackers are fine that Oil has increased to $62 a barrel. However, the problem with many of these companies is that they were not even cash flow positive even at $100 a barrel Oil. My first newsletter of the year was devoted to pointing out the flaws in the frackers models. However, the real danger is that these companies represent 14 percent of the High Yield Junk Market up from just 4 percent 10 years ago. The average fracked well only lasts about 2-3 years. Therefore , in a year or two you are going to start to see mass defaults and bankruptcies in the sector. This could have dire effects for the corporate bond market. To see Einhorns presentation on the frackers and why these are not economic companies please go to our website www.addictedtoprofits.net and view the video I have posted of his speech.